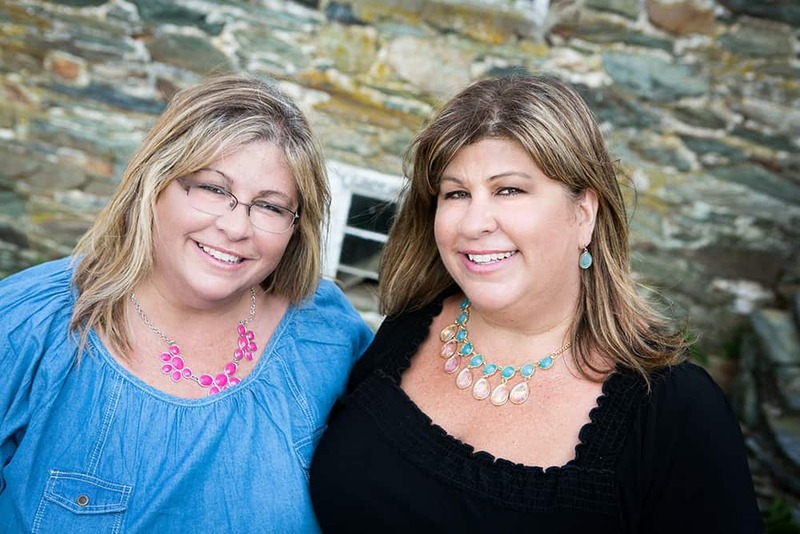 This post is sponsored by The Tourism Council of Frederick County. All opinions are my own. One of the many things I love about my town of Frederick is the fact that they have an ever-growing downtown. New restaurants are always popping up. Each and every restaurant is unique and amazing. I have yet to find one that I don’t like. Reina Modern Latin Bistro is no exception. Because it was Frederick Restaurant Week, Terri & I decided to take advantage of it and try out this new place for lunch. 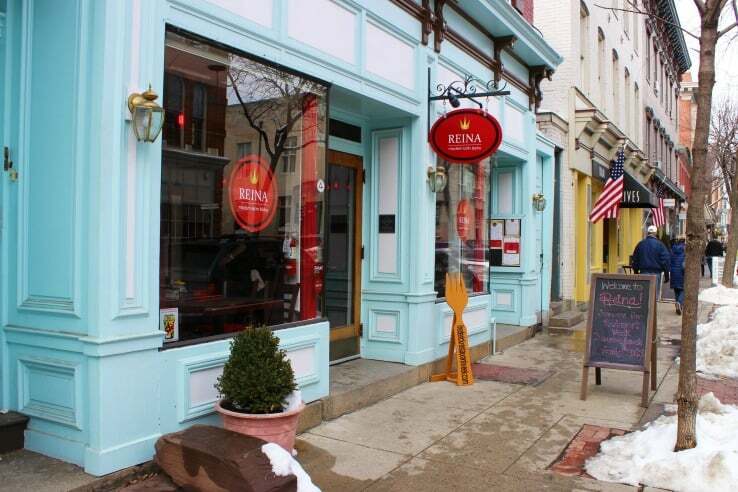 Reina is located on North Market Street directly across from Brewer’s Alley. It really stands out with it’s bright teal, red & brown colors. 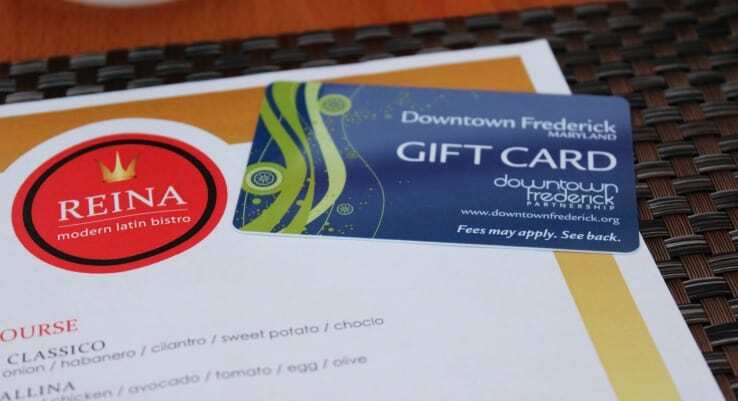 Terri & I each had a Downtown Frederick Gift Card to use for our lunch. These gift cards are great to buy as gifts or just for yourself. 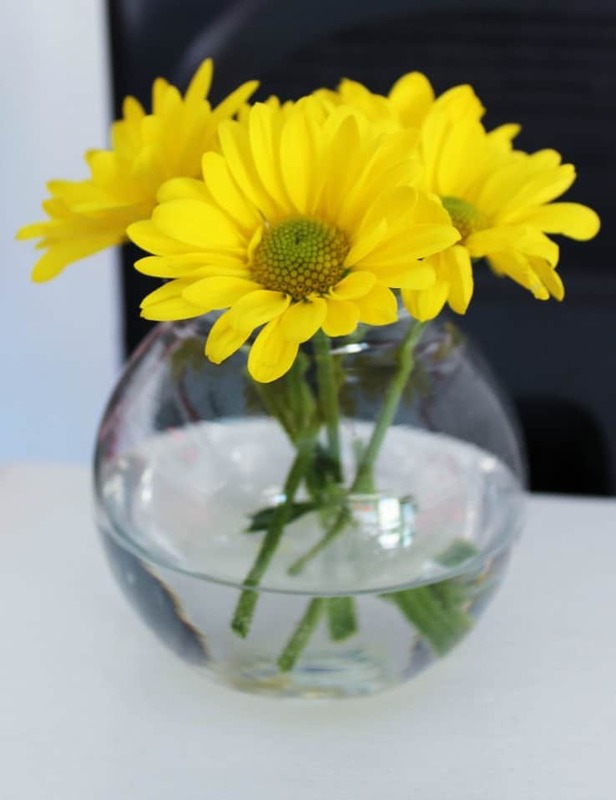 You can buy them at the Frederick Visitor Center. 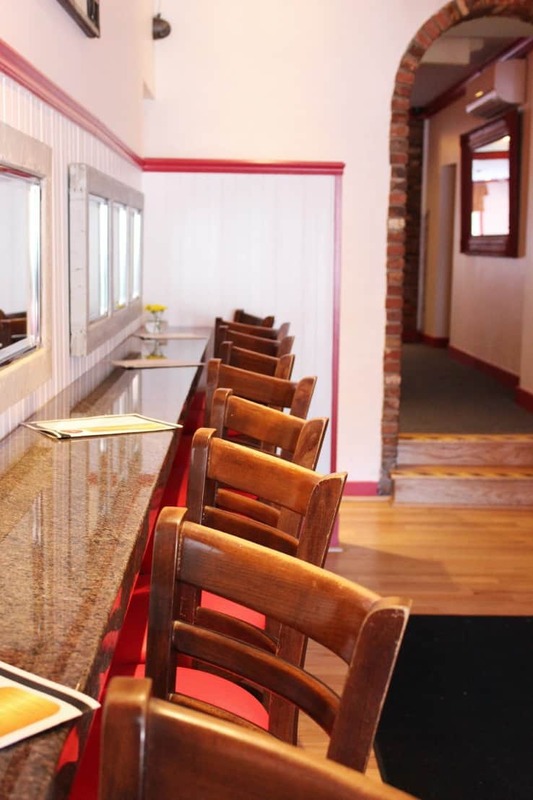 More than 150 downtown Frederick stores, restaurants, theaters, and galleries accept the Downtown Frederick Gift Card. 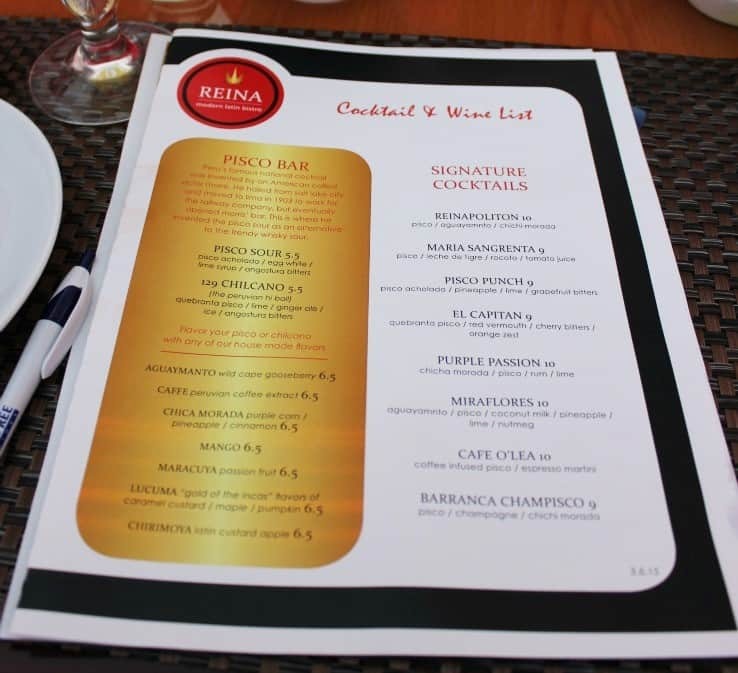 As soon as we walked into Reina, we loved the look and feel of it. It was very bright, cheery, and clean. 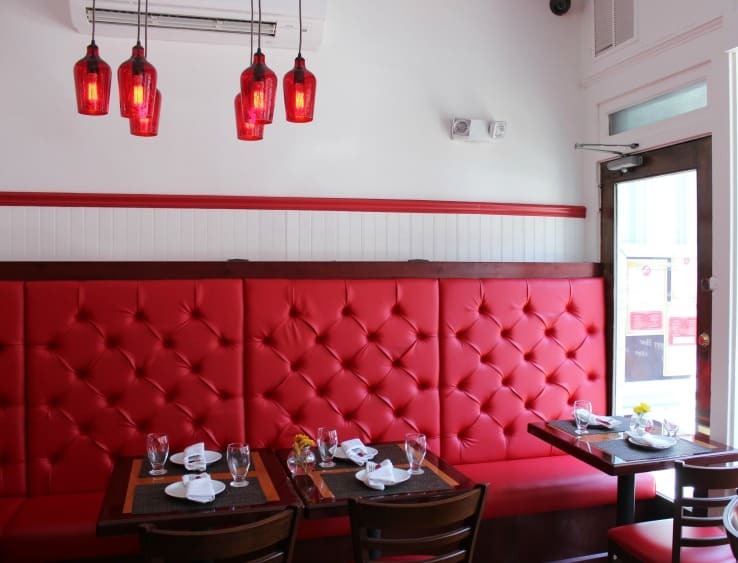 The red lights and booths put you in that Latin mood. We were excited to order off of the Frederick Restaurant Week menu. 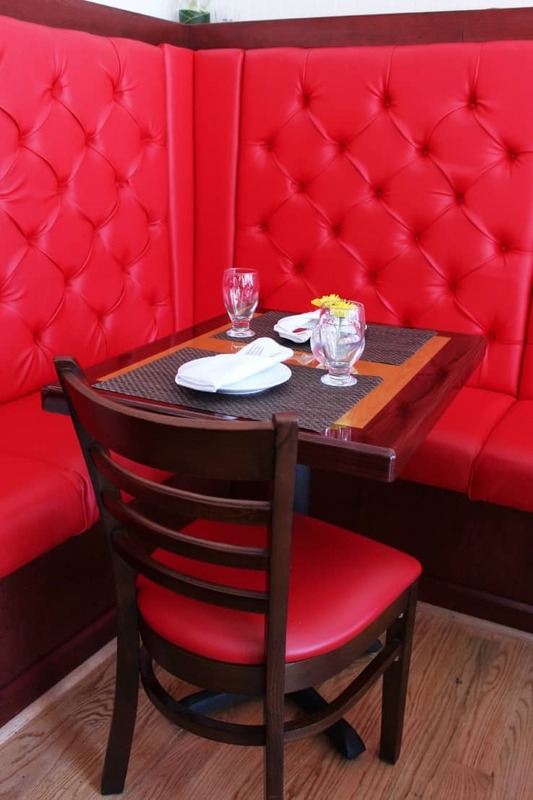 Who doesn’t love a 3 course meal with the choices handpicked by the resident chef? Our waiter was very accommodating and gave us a great description of what they had to offer. 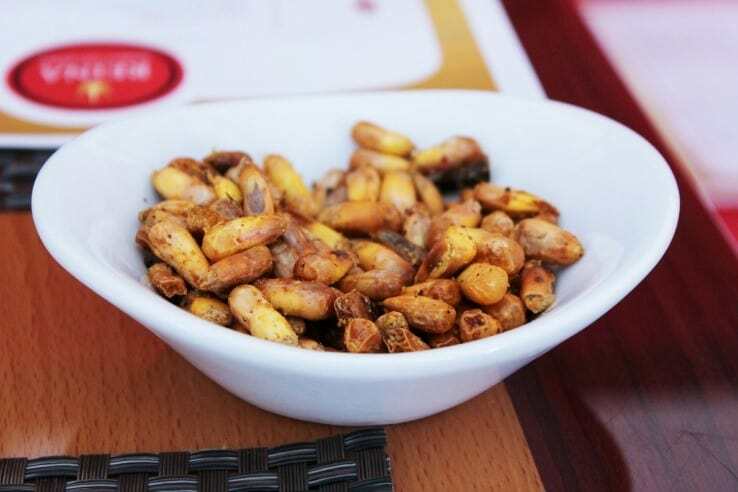 Instead of the usual bread that you get before your meal at most restaurants, Reina serves ‘cancha’, a snack food made of roasted corn kernels. Being that Corn Nuts are one of my all-time top snack foods, I LOVED the cancha. Our first order was for drinks. 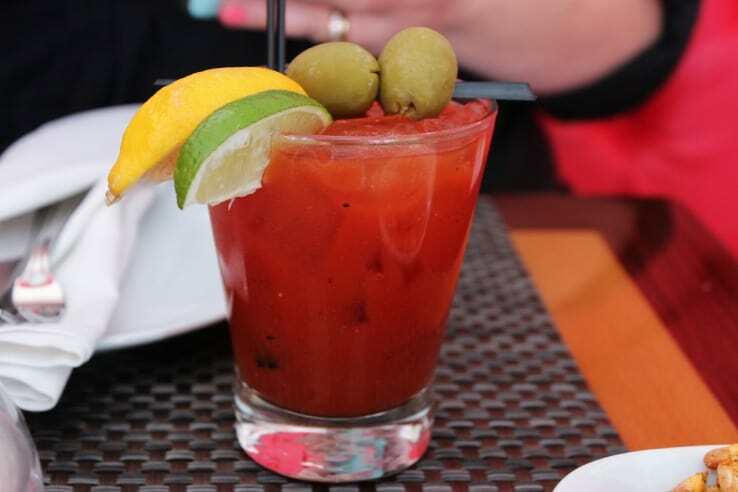 I ordered a Stella Artois and Terri ordered a Maria Sangrenta, Reina’s version of a Bloody Mary. Being identical twins, Terri & I both ordered the exact same 1st, 2nd, and 3rd courses. What can I say? We like the same things. 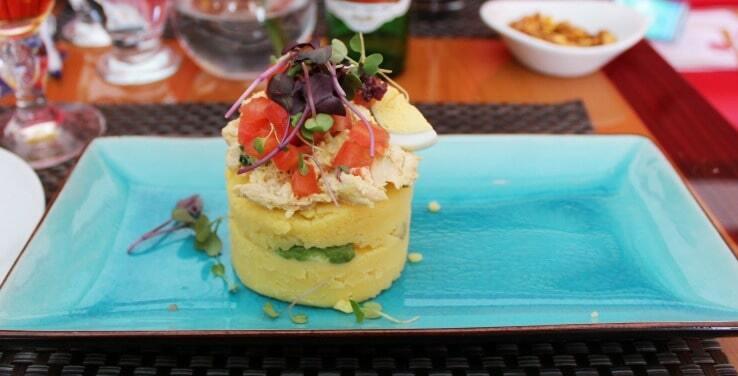 Our first course was the Causa Gallina: whipped potato, chicken, avocado, tomato, egg, and olive. This was served cold. It was very good! It didn’t look like a huge helping on our plates, but it was actually a very nice 1st course. We both agreed that it tasted very similar to a potato salad with chicken on top. 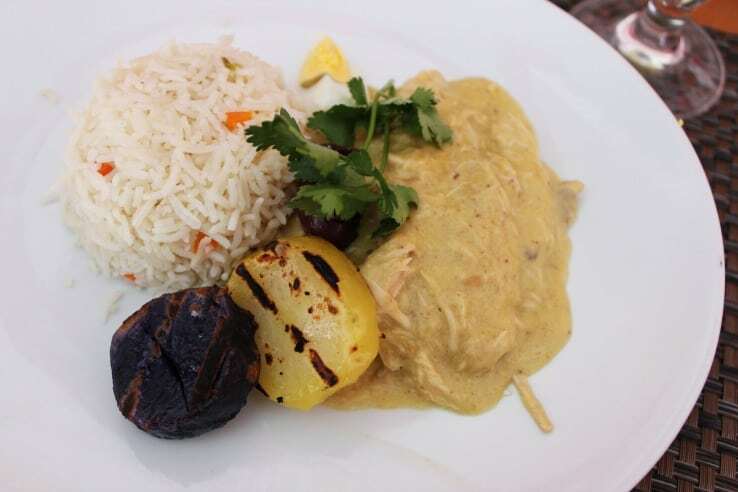 Our main course was the Aji de Gallina: poached chicken, pecans, aji cream, potato, and rice. I loved the rice, potato combo. A very common Latin theme. 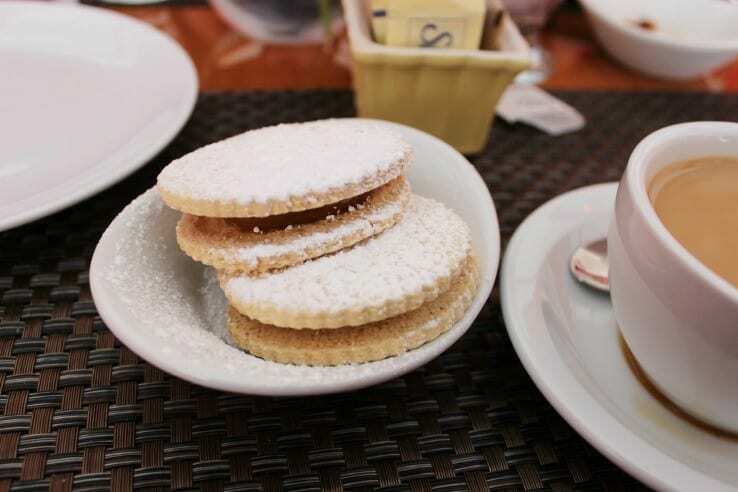 Our dessert was the Alfajores. We were served this with a nice hot cup of coffee. 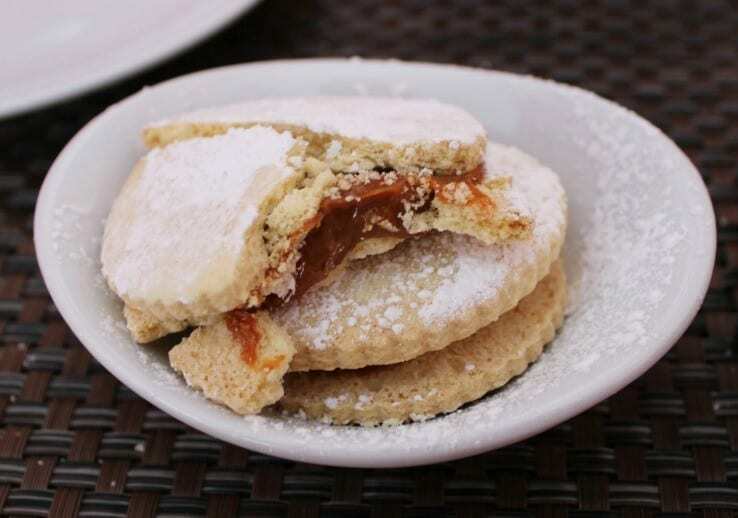 They were shortbread sandwich cookies filled with with dulce de leche. 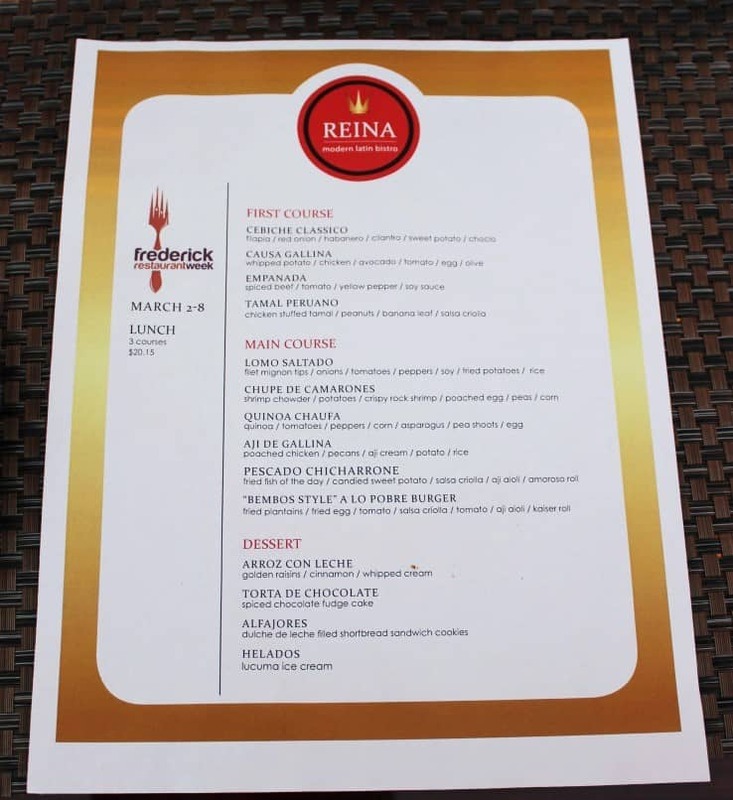 The service at Reina Modern Latin Bistro was top notch. As usual, Terri & I joked around a lot with our waiter. He had a great sense of humor and ‘got’ our goofiness. So get out there and try one of Frederick Restaurant Week’s many participating restaurants. It’s a great experience and a great excuse to go out and support the amazing local businesses of downtown Frederick.